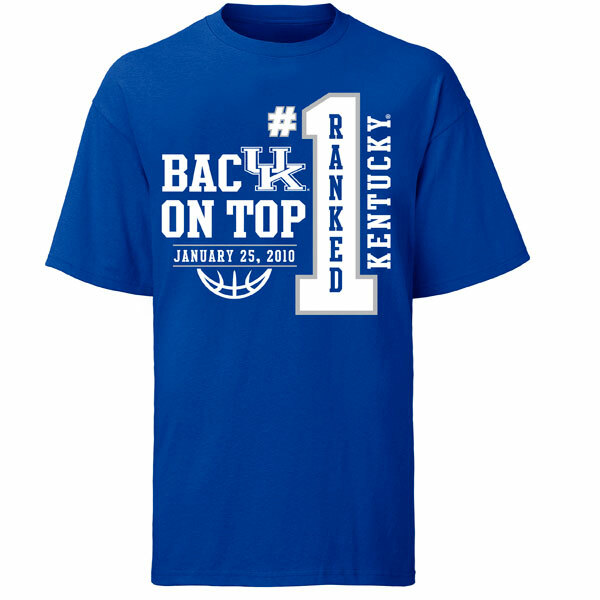 The University of Kentucky men’s basketball team rolled out its version of a “We’re No. 1” T-shirt on Monday. On Tuesday, they lost to South Carolina. Looks like the T-shirt jinx is more powerful than even the SI cover jinx. This got me to thinking: What if the Orioles had created their own poorly timed “We’re No. 1” T-shirt during a brief perch atop the A.L. East standings? Believe it or not, there have been opportunities during the past 12 seasons – other than 1999, 2001, 2002, or 2007 – for just such a design. Perhaps the most ironic time to have created an Orioles T-shirt to cover one’s torso during a premature round of chest thumping would have been 2005. Yes, that “memorable” 2005 season (Thanks, Raffy!) when the O’s spent more than 60 glorious days in first place. A June 23 loss to the Blue Jays started a free fall that ended with the Birds in fourth place, 21 games behind the division-winning New York Yankees. A 2003 T-shirt would be particularly amusing. That season, the O’s held and lost the division lead before April showers had even started (March 31). One week later they were in last place. The "Believe" concept also gained some traction that season. 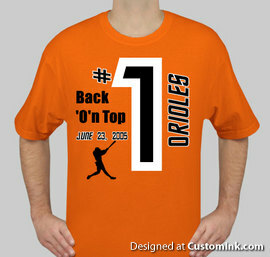 I wonder what the team and/or local vendors will do should the Orioles get off to a solid start in 2010 or 2011. I like to think I'd wait until the season's over and then buy a Division/Wild Card/etc. type T-shirt. Realistically, though, I'll likely get swept up in the hype whenever it comes. Can you blame me? Unlike the situation in Kentucky, it's truly been a long time coming for O's fans.